The Capri Gown is equal parts playful and sophisticated. With a fitted silk satin bodice, this A-line gown feels sleek and refined. 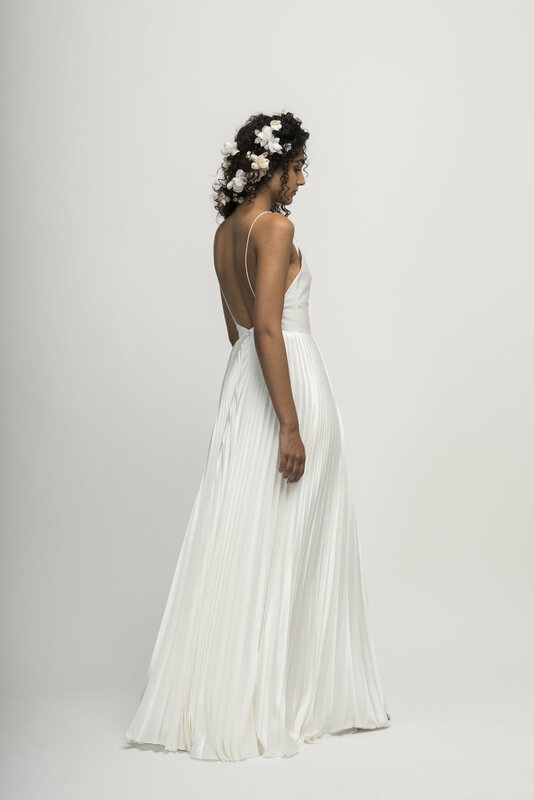 Paired with a silk charmeuse pleated skirt, Capri is simply perfection. The effortless movement of this gown is sure to keep you dancing all night long. Available in Off White and Ivory.